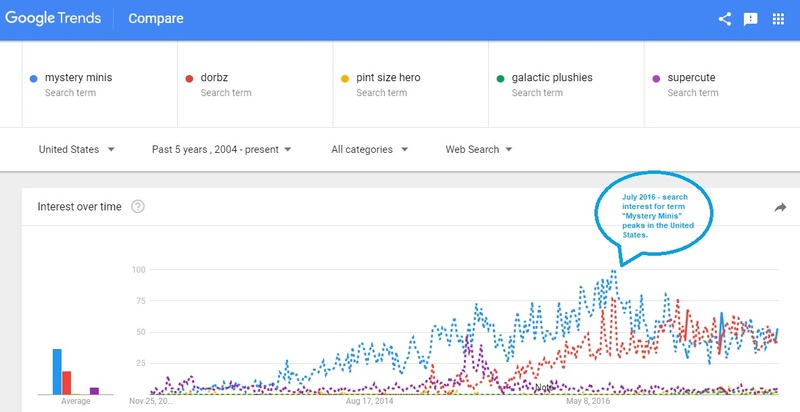 September 27, 2012, the day that Google unleashed one of the most powerful applications on the web: Google Trends (here). The application is really interesting and easy to use. At a click of a button you can observe in graphical form, search data for a particular keyword over a designated time frame. This data can be refined by the geographic locations of where the searches are coming from as well as the type of searches. From an investor’s standpoint, this information can be very valuable for those looking to employ a momentum style of investing. The best way to articulate this would be through an example. Let’s say you own shares in a company that made cobra snakeskin shoes and you noticed that over the last couple months, the number of searches for “Cobra Snakeskin Shoes” was increasing steadily. At a high level, you could make the assumption that as long as there is an increase interest in Cobra Snakeskin Shoes, that there is a high probability that some of these searches will translate into purchases, thus will lead to increased sales/profit for the company and thus higher share price. If the company that you own shares in is the only company that makes these types of shoes, then your assumption would have even more merit. Let’s then say that months later there are less people searching for Cobra Snakeskin Shoes as a result of the negative connotation of killing snakes for the purposes of making shoes and also because it isn’t as hip as it once was to show up on a date with reptilian themed shoes. You wouldn’t need to embarrass yourself on a hot date to realize that reptile shoes are not as popular as they once were and at the same time you would have the consensus of millions/billions of Google users that makers of snakeskin shoes may not be as good of an investment as you once thought. The intent of this blog is to present readers with new investment ideas through the analysis of increasing and decreasing keyword trends that relate to publicly traded companies. As mentioned above, the analysis in this particular blog will be useful for those employing a momentum style of investing. So if you’re a value investor, day trader, or algorithmic trader, then this blog may not be for you or if you have no idea what I mean by “momentum investing” then you should probably have a read of any William O’Niel or Gerald Loeb book to get some insight. I’d appreciate any and all feedback (sans anything malicious) that would make this particular blog more relevant. Thanks for taking the time to frequent my blog and please be sure to read and understand the disclaimer.